Our classes of one-year olds meet on Monday/Wednesdays and Tuesday/Thursdays from 9:30-1:30p. In these classes there are four children and one teacher, with a part-time aide. 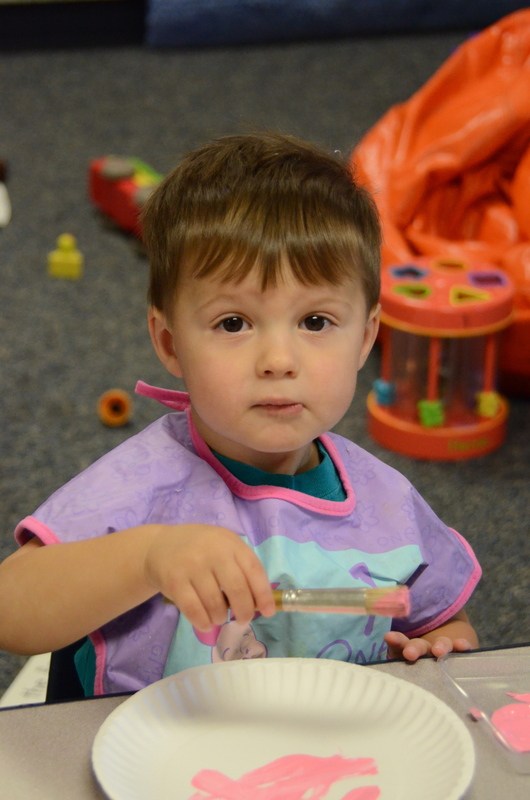 Students must be 12 months of age by September 1st of the year they enter Covenant UMC Preschool. Physical: developing gross motor skills through music and movement, games, and outdoor play. Physical: developing fine motor skills through art activities with a variety of materials, and through sensory materials such as play-dough and shaving cream. Pre-reading: developing vocabulary through teacher modeling, music, and literature. Math: introducing numbers, colors, and shapes. Social/emotional: introducing concepts of sharing, helping, taking turns, friendship, and feelings. Spiritual: developing an understanding of God through prayer, Bible stories, and music.